Nicole Kidman returns to the West End for the first time in 17 years! 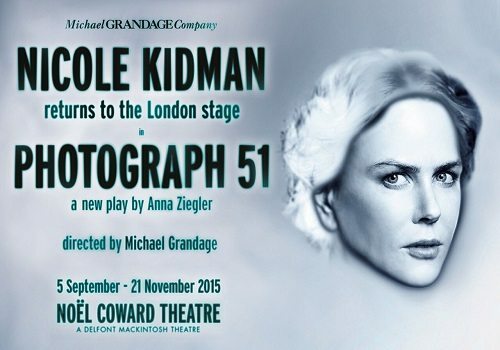 Kidman will star in Photograph 51, a play by Anna Ziegler about the true life events of a young female scientist, as part of the Michael Grandage Company. 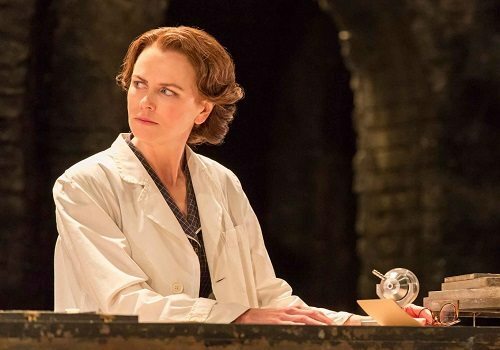 Kidman will take the leading role of Rosalind Franklin, an English chemist and crystallographer who made fundamental contributions to the discovery of DNA after looking at a photograph she had taken. Sacrificing so much in pursuit of science, Kidman will portray a women dedicated to her work who’s place in history lasted much longer than her lifespan. The show will be directed by Michael Grandage, with further casting yet to be announced. Photograph 51 will run at the Noel Coward Theatre and marks the return of Michael Grandage Company since his celebrated season of 6 plays ran at the same venue in 2013-2014. The season included Dame Judi Dench in Peter and Alice, Daniel Radcliffe in The Cripple of Inishman and Jude Law in Henry V.
Photograph 51 starring Nicole Kidman will run from 14th September to 21st November 2015. Tickets are currently on sale via the Michael Grandage Company website. Photograph 51 is not aimed at entertaining young children. Teenagers with an interest in history may enjoy the show if accompanied by an adult.